In an interview during the Bologna Book Fair, Haiyun Zhao from SAPPRFT and Xueqian Li of CCPPG discuss the rapid development of China’s children’s book publishing market. It might not be a surprise to hear that China’s children’s book publishing industry is growing, but just how much it’s growing is noteworthy. According to Haiyun Zhao, Deputy Director-General for SAPPRFT’s Department of Import Administration—the highest ranking Chinese official attending the Bologna Book Fair this year—the market has grown by at least 10 percent every year since 2002. Even faster rates of growth have come in recent years, said Xueqian Li, President of China Children’s Press and Publication Group (CCPPG)—China’s largest children’s book publisher, which reports publishing 1,500 titles per year. In 2016, China’s children’s book market grew by nearly 29 percent, and in 2017 by 15 percent. In an interview with Publishing Perspectives during the Bologna Book Fair—where China is this year’s Guest of Honor—Zhao and Li emphasized the advances that children’s book publishers in China have made over the last decade. Li said that the quality of children’s books in China has improved in the last decade. Zhao added that Chinese publishers are close observers of the international industry and they learning from what they see. “Publishers in China have two distinctive features,” said Zhao. “They are very diligent and they are eager to learn.” This, he said, has helped to advance China’s book market and presence on the international stage. China’s Guest of Honor program at the Bologna Book Fair is one such opportunity for Chinese publishers to meet their international counterparts and showcase their growing lists of children’s titles. “The goal [of the Guest of Honor program] is to present the development of Chinese children’s book publishing on the international stage,” said Li, and he said that the Chinese publishers in Bologna felt well received by the international sector. Li credits authors and their developing talent as one of the central factors behind the rapid growth and improvement of the children’s books segment in China. “Authors have had a transformation,” he said, and they have worked hard to further develop their talent. In addition to working with great authors, Li said, publishers in China now have the ability to produce better books, something they’ve invested time and resources in over the last decade. Zhao noted that while illustration has 1,200-year history in China, modern picture books have only been on the Chinese market for 10 to 15 years. This growing selection of higher quality children’s books has given Chinese authors a boost on the domestic bestseller lists. Right now, Li said, some 80 percent of children’s bestsellers are by Chinese authors. Ten years ago, the number was down around 50 percent. Even as more international authors are published in China—now some 30 percent of the market, by Li’s estimation—Chinese books are holding their own. Another factor that has led to a growing children’s book industry is the sheer number of children in China—there are now 370 million children under the age of 18, according to Li. This, combined with a strong national emphasis on reading and education, has been a boon to children’s book publishers. In January 2018, China’s first law related to public libraries went into effect. The law requires local governments to set up public libraries in their districts, provide free library access, and organize public events. Libraries are also required to have reading areas and educational activities for children. More libraries across the country is good news for publishers and will likely lead to even more growth in the children’s book market. The country’s education policies are also putting a focus on literature and books. Li pointed to a recent example regarding China’s National Higher Education Entrance Examination. This nation-wide test is taken by high school seniors and is a prerequisite for getting into universities. In 2017, the essay portion of this exam asked students to write about a classic 18th-century Chinese novel, The Dream of the Red Chamber by Cao Xueqin. “If you hadn’t read this book,” Li said, you would lose points on the reading portion of the exam. There’s no question that more international contact has been positive for Chinese publishing. 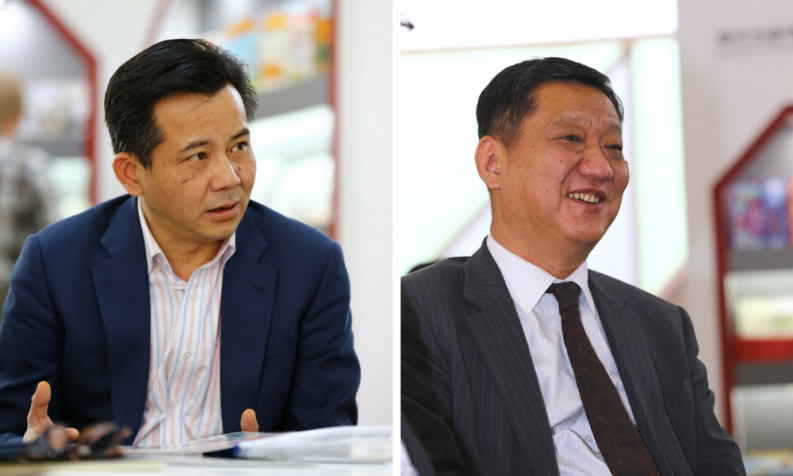 Both Zhao and Li made a point of saying that the country’s publishers have learned a lot from their international counterparts. They both also emphasized that the rest of the world can learn from China, too. When asked about countries or regions that CCPPG is focusing on, Li said that publishers in countries near China—specifically Vietnam, Singapore, Malaysia, and South Korea—are very interested in content from China. As an example of the kind of success CCPPG is seeing in this region, Li talked about an educational book series called Plants Versus Zombies, which sold 500,000 copies in Malaysia alone. More than 10 million copies of the series were sold within 18 months of publication. The series is based on a popular video game of the same name. CCPPG licensed the image rights from the game company and combined them with educational Chinese content to create the books. China’s publishers are looking for more success stories like this one when they organize and attend international publishing events. And they are eager to show off the rapid progress they have made in a relatively short amount of time.